Celebration of the Resurrection, in-full! 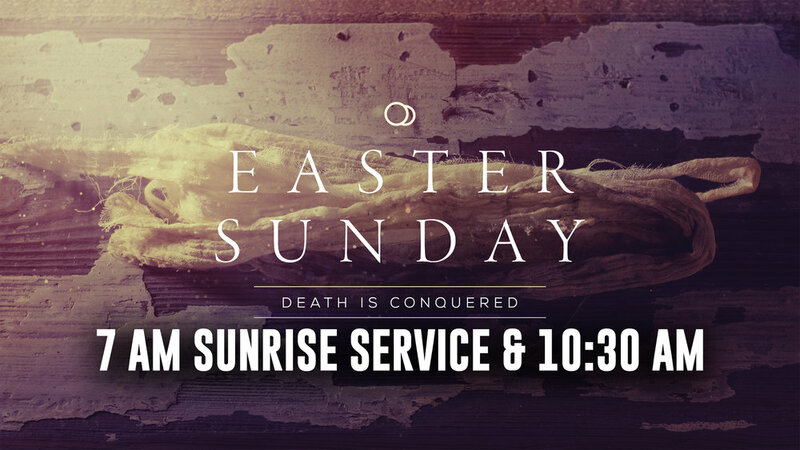 Join us for a morning of Easter resurrection praise. Bible & A Beer returns on Thursday, April 25th @ 7 PM @ Southern Pines Brewery. Pastor Linn will be leading the discussion. Come out and enjoy some fellowship and a nice cold one. https://www.southernpinesbrewing.com/ Event is at Southern Pines Brewing Company. We will be discussing this book if you would like to purchase the paperback ($10), or ebook ($3) to follow along. You are not required to have the book-just come! RSVP http://signup.com/go/oQpRMUH so we know you are coming and can save enough chairs. The concert is free to the public. A freewill offering will be collected with a portion going to support the Northern Moore Family Resource Center. You are invited to lunch! We'll be enjoying Cinco de Mayo with a TACO BAR! And not to be outdone, a DESSERT CONTEST! We have some amazing bakers at OSLC and we are going to show everyone off! 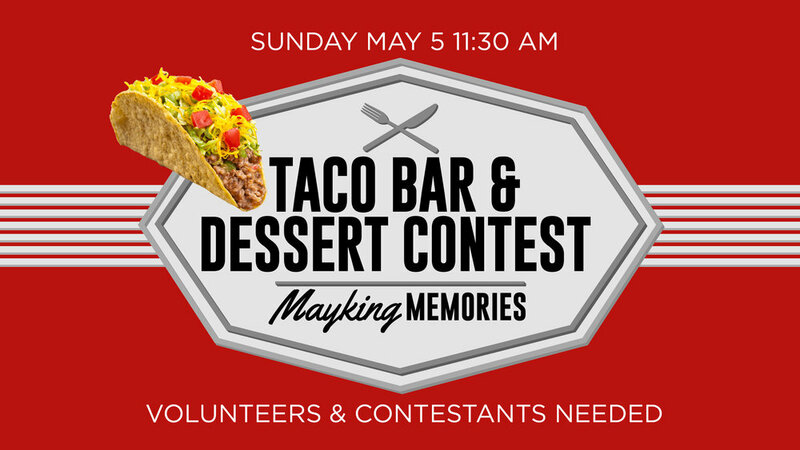 Bake your best dessert and bring it by church anytime between Friday May 3rd-Sunday May 5th before 10:30 AM. Please leave it in the kitchen either on the table or in the refrigerator. Please provide a title for your dessert and an ingredient list so we can let anyone that is food sensitive know what's in each dish just in case there is something they can't eat. DO NOT LABEL YOUR DESSERT WITH YOUR NAME. We want even the volunteers setting up not to know who did what. Everyone at lunch will get a ticket to vote and the entrees with the most votes will win prizes and bragging rights! We will celebrate MOTHER'S DAY by honoring all of the women of OSLC. Whether you have kids or fur kids, you've mothered someone and we want to make the day special! Be sure to come to worship on Sunday as we have a special gift for you afterwards! Time to give back to the church and show it some love! It's INSIDE/OUTSIDE WORK DAY. We'll be having a crew outside working on the landscaping, mulching, pruning etc. and a crew inside working on the kitchen and craft room. We could really use your help! We'll start by providing you breakfast with donuts, coffee and orange juice. Then we'll divide up and get to work tiding and cleaning up. Please sign-up on our volunteer website or at the welcome center desk. The Social Ministry team is hosting a coffee on Sunday, May 26 in honor of the veterans who have died. If you have a photo of your loved one you would like to display, please drop it off at the Welcome Center by May 24. Agapé Day Camp is returning to Our Saviour Lutheran Church this summer, July 8-12 from 9:00AM to 3:00PM! Campers will enjoy a week of games, songs, crafts, nature activities, Bible studies, and FUN, lead by trained summer counselors from Agape Kure Beach Ministries. Agape Day Camp is for rising 1st through 8th graders. The cost is $135 per child. Early registration before April 30 will receive a $30 discount. A separate day camp for preschoolers will also be available July 8-12 from 9:00AM to 1:00PM for ages 3 to 5. The cost per child is $75 with an early registration discount of $25 before April 30. There will be a $250 cap for families registering multiple children. To register, visit www.oslcsp.org and click on Day Camp Forms in the menu. Camperships are available! Contact Donna Knight at oslcsp@oslcsp.org or call 692-2662 ext. 206. Assistance is available. Sign up today for our sewing camp held at Our Saviour Lutheran church the week of August 12 thru the 16. Time is from 9:00 am until 11:30 am in Classroom one and two. There is no cost. Sewing machines will be provided and an adult per student will be provided. The camp is limited to the first eight children that sign up. You must have completed 2nd grade to enroll. Any questions email Sandy Zimmer - szimmer27@yahoo.com or Pattie Peeples -jpeeples@nc.rr.com. 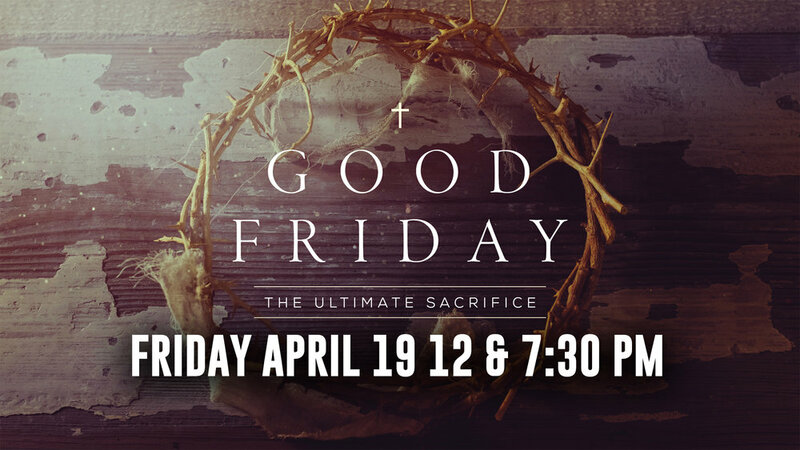 Join us at 12:00 pm for a light service of readings, hymns, and the message, followed by a powerful 7:30 pm service telling the story of The passion of Christ, as we journey with Jesus to the cross through the Word, music, dance, and imagery. Come and SEE, Come and FEEL with all of your senses the sadness of a Friday that was “good” only because Christ went to the cross for our sake. Here we celebrate the ancient “Passover” story and the final (“Last”) supper Jesus enjoyed with his disciples, coupled with the foot-washing ritual within the context of the 7:30 pm Last Supper Re-enactment. We end the service with the singing of Psalm 22 and a stripping-down of the altar. The next First Responder Peer Support Group meeting is April 11 at 7pm at Our Savior Lutheran Church in Southern Pines. All are welcome! Join us on Wednesdays from March 13-April 3 starting at 6:30 for soup and hymn sings. We will be discussing this book if you would like to purchase the paperback ($10), or ebook ($3) to follow along. RSVP http://signup.com/go/NQxtjSX so we know you are coming and can save enough chairs. Singer Ravon Sheppard, accompanied by pianist Kristen Webb Thompson, will kick off 2019’s Concert Series at Our Saviour Lutheran Church on Sunday, March 10th, at 2 PM with a program comprised of classical composers, popular show tunes and church classics. An Aberdeen native, Mr. Sheppard has a passion for singing that is only surpassed by his love to teach. Come out and support locally grown talent at this FREE event. Our Saviour Lutheran Church, 1517 Luther Way in Southern Pines. Drive up to our main entrance overhang and receive ashes and prayer requests. 2 sessions: 8-10 AM and 4-6 PM. Our guest speaker will be Terry Taylor – Program Coordinator/Office Manager at the Moore County Literacy Council. FREE EVENT. In the Fellowship Hall. Everyone is welcome! Bring some friends and neighbors. NO CLASS April 14th, April 21st, or May 12th. It's all about the "D" with daddies, daughters, DJ, dancing, and dessert! We'll have a candy & dessert bar along with popcorn, cotton candy & a photo booth! Dress in your Valentines best and join us for this FREE event! Live DJ! Dance until you drop! Invite your friends & neighbors! In the fellowship hall FRIDAY FEBRUARY 8TH from 5:30 to 7:30. Our Saviour Lutheran Church 1517 Luther Way Southern Pines, NC Call our welcome center @ 910-692-2662 for more details. Join us for Christmas Eve service at 4 and 7 PM. The adult and children's choir of Our Savior Lutheran will be presenting the Advent cantata Gather at the Manger by Dennis and Nan Allen on December 16. The cantata includes familiar carols, original songs, readings and will be accompanied by our worship band. Join us as we wait and prepare for the celebration of Christmas. Matthew 25 will be preparing a wonderful meal again for us on Sunday, December 9 at 5pm followed by the Christmas Story told by Our Saviour's preschoolers. **The dinner is a free will offering to raise money to assist Matthew 25 in feeding the needy in the northern part of Moore County and to help purchase a laminating machine for the preschool! Please come out and support these two wonderful Ministries of Our Saviour Lutheran Church. To sign-up, visit our Eventbrite form online , fill out a connection card during a Sunday service or visit the welcome center desk at the church. Christmas will be here before we know it and we need your help for a very important cause to spread some holiday cheer! This year, Our Saviour is sponsoring 30 families for the local nonprofit “Christmas for Moore,” which provides clothing, food, housewares, toys and other items to families in need. With your help and through Thrivent, OSLC will provide Christmas wreaths to each of our sponsored families. How can you help? It’s easy and FUN. Search through your Christmas decorations for some gently used items you would like to donate, or head to the store and buy some new things. Anything you can offer is greatly appreciated. Some suggested items include ornaments, ribbon, bows, garland, and artificial flowers. Beginning this Sunday, there will be a donation box located under the mailboxes. For information on how to donate materials, please see or email Frances Clayton, Heather Lussier, Katie Van O'Linda, or Peggy Benson. On Sunday, December 2 we’ll gather in the Fellowship Hall. We will be making the wreaths from 9:00 am -10:15 am, breakfast will be served beforehand at 8:45 am. No crafting experience required! If you have glue guns, please bring them. Christian Education Classes on Sunday, December 2nd, will NOT be canceled. Rather, we will be putting our faith formation into action! After all, Jesus commissions us to share the good news with others, and to make disciples. For this reason, throughout the year, our Sunday School curriculum will be augmented with opportunities to serve, and to educate our young people about ways in which we might share His good news with our community. After all, it is in the giving that makes us who we are. On December 2nd, students from ALL classes, and anyone else from OSLC who would like to join the effort, will be making Christmas wreaths to be given to the 30+ families being served through Christmas for Moore County. Let us go and serve the Lord! It’s time to think about ordering poinsettias to adorn the sanctuary on Christmas eve. As an alternative to ordering a poinsettia you may make a donation (for the same amount as the price of a poinsettia) to the Discretionary Fund. Orders will be accepted through December 10. All donations and memorials will be listed in the bulletin on Christmas Eve. You may send your order to the church office or place it in the offering plate on Sundays or leave at the Welcome Center. Payment must accompany order! Please make your check payable to Our Saviour Lutheran Church for $11.00 per order. On your check note poinsettia or alternative gift. The council approved the Congregational Study to occur November 4 directly after the service. The purpose of the meeting is to create an opportunity for congregational input on who we are as a congregation who we are looking for in a second pastor. A catered meal will be provided during the congregational study. The Social Ministry’s Food Drive has begun. The food collected through this annual appeal will be used to provide Christmas dinner for 30 families which OSLC has “adopted” through the Christmas for Moore Christmas program. Please don’t feel that you must purchase all items listed. Just pick up whatever you can and together we will fill these Christmas baskets! You may leave your donations in the food chest by the Fellowship Hall any time thru Dec.12. The Social Ministry Committee hopes to receive enough monetary gifts to purchase a ham for each family. Our Saviour Lutheran Church will celebrate Reformation Sunday on October 28th at 10:30 AM. The service will include a processional played by the Good News Vibration handbell choir and choir anthems and hymns accompanied by trumpet and organ. Trunk or Treat will be on Saturday October 20th from 5:30-8:30. It will include food, games, contests, and music! Feel free to bring your favorite treat! All generations are welcome. There will be something for everyone! 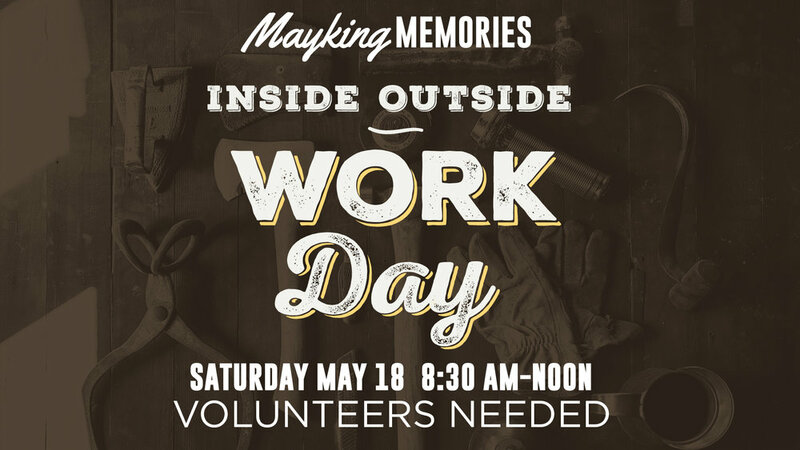 WE NEED VOLUNTEERS-link on the home page to sign up, or call the church office at 910-692-2662. The Evangelism Ministry is sponsoring a booth at Autumnfest this weekend, Saturday October 6th from 9a-4p. At the booth you will be able to decorate a Halloween Trick-Or-Treat bag. Bring the family out and enjoy the day! Autumnfest is being held at the Downtown Park 145 SE Broad Street in Southern Pines, NC.